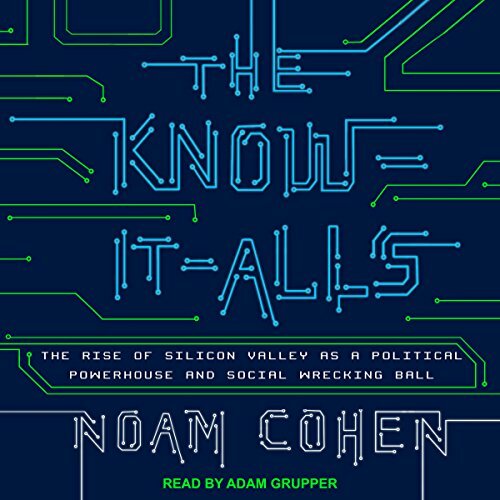 Showing results by author "Noam Cohen"
Cohen shows how smart guys like Jeff Bezos, Peter Thiel, and Mark Zuckerberg fell in love with a radically individualistic ideal and then mainstreamed it. With these very rich men leading the way, unions, libraries, public schools, common courtesy, and even government itself have been pushed aside to make way for supposedly efficient market-based encounters via the Internet. Donald Trump's election victory was an inadvertent triumph of the "disruption" that Silicon Valley has been pushing. A society that belittles civility, empathy, and collaboration can easily be led astray.